Linking Gut Bacteria to Mood « Adafruit Industries – Makers, hackers, artists, designers and engineers! The human microbiome is a big deal. We can have as many as 100 trillion microorganisms living simultaneously in our gut. These gut microbiota outnumber our genes by nearly 150x turning homosapiens into a “superorganism”. What are all these microbes doing? They help us digest by fermenting our food. They also have been shown to produce some powerful neurochemicals that have the ability to communicate with our brains. The neuroreceptors inside our intestines and the vagus nerve are the gateways to the brain. How can you hack your mood through your gut? It is still the Wild West in terms of neuroscience studies coming out on this topic. My personal choice is to eat a ton of fermented foods. Kombucha, water-kefir, ginger beer, sauerkraut, kimchi and some commercial liquid probiotics that I perpetuate. We will get more into biohacking with fermented foods on future posts. 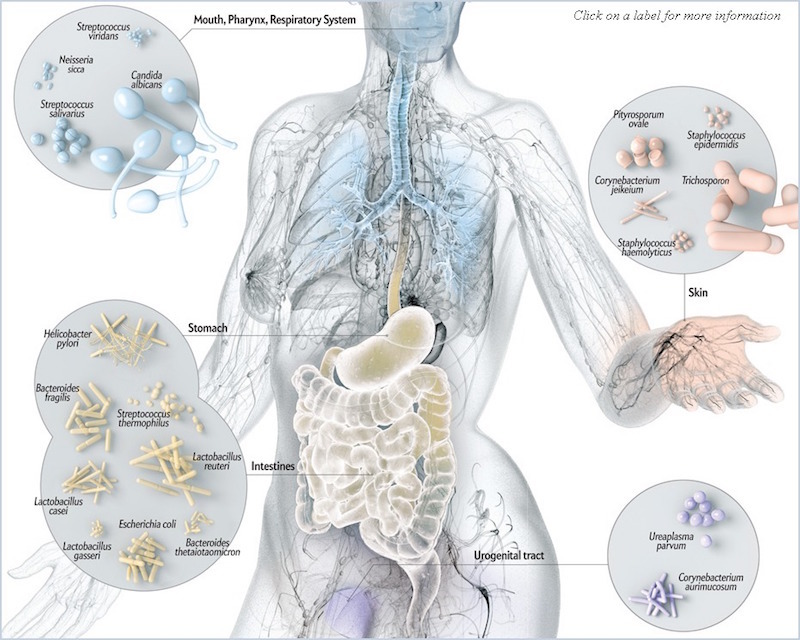 A new term for these microbes which can benefit the brain and our behavior are psychobiotics. NYT – Can the Bacteria in Your Gut Explain Your Mood? 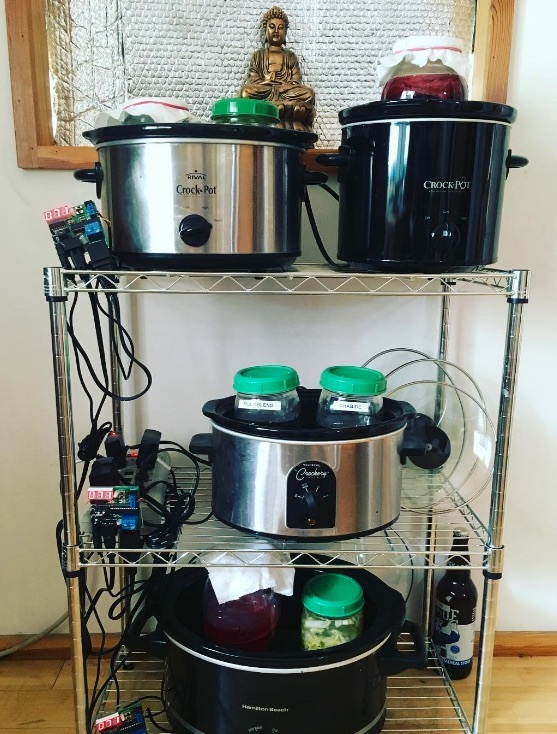 Can I get some background on those fermentation controllers? I’m working on a kefir and yogurt temperature controller. But I would love to take advantage of something already existing. Looks pretty good. But is perhaps not quite what I was looking for. I would prefer to have a PID. That should be fixable being open source and all. But also the board turns out would not quite fit the appliance where I would want to embed it into. With the resulting ratsnest of wires to make it fit, I’m not far off from the breadboard solution I’m working on. But still. Great project. Loved to see it.